​Phnom Penh (VNA) – Cambodia on June 2 defended its court for taking legal action against Vice President of the CNRP (Cambodia National Rescue Party) Kem Sokha, who was charged with "refusal to appear" in court over a case involving his alleged mistress. The Cambodian Ministry of Foreign Affairs said in a statement that in democratic countries, especially the US and those of the European Union (EU), the refusal to appear in court as summoned by a prosecutor is punished. So it goes in Cambodia. The ministry asserted that the allegations of “judicial harassments against some politicians are absolutely unfounded.” It also slammed some representatives of diplomatic missions for interfering in the internal affairs of the Kingdom. The statement came after US and EU representatives called for the Cambodian government to cease using the judiciary to harass its political opponents. 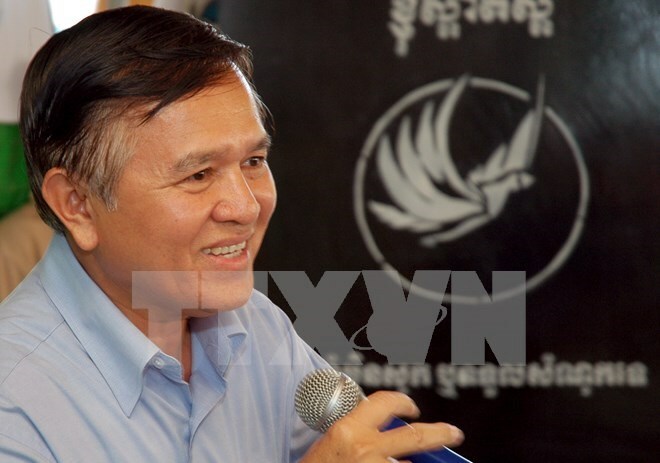 On May 26, a Cambodian court requested police to arrest Kem Sokha on charge of ignoring court summonses twice over a case involving his alleged mistress.